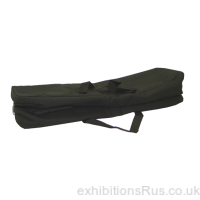 Carry Bags, we can offer a range of standard sizes in canvas material, suited to transportation and protection of exhibition and display materials, boards and panels in particular. 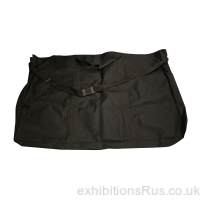 We offer a starter range, basic carry bags, which come with a carry handle only, but we also offer a higher spec known as standard carry bags which come with shoulder straps added and additional webbing under the bags bottom to give added strength and support of heavier items. 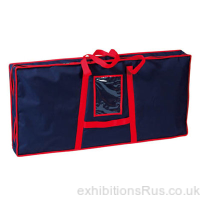 Our canvas carry bags are made to be tough, strong, durable and reliable, if you are looking to give your exhibition kit that little bit of extra protection or just make life easier carrying to and from an event or exhibition hall a carry bag make good sense. 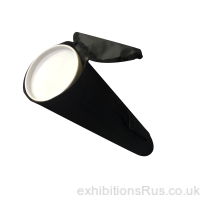 Want to check supply times 01256 768178.